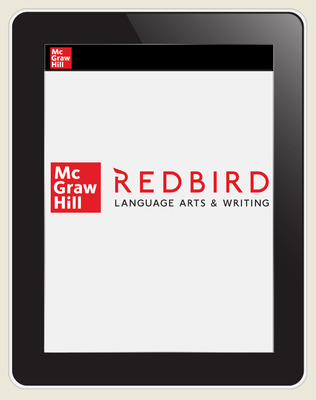 Redbird Language Arts & Writing is a digital, adaptive personalized learning solution that helps students achieve their full potential as writers. Redbird Language Arts & Writing leverages adaptive technology and a student-centered, personalized learning model to tailor instruction, accelerate learning, and empower every student to be in charge of their own learning. This adaptive learning software uses groundbreaking writing analysis technology from Stanford University to provide students with immediate, error-specific feedback on their sentence and paragraph composition, keeping them actively engaged, writing more, and continuously improving throughout their English language learning programs. The technology is built upon more than 25 years of research in adaptive and writing technology and addresses ELA and writing standards for grades 2 – 7 to ensure proficiency. Each grade level content has 9 – 10 units that focus on a form of writing or reading and provided students with richly personalized path through the writing and language arts curriculum. Units are divided into lessons that include instruction (lectures) and practice (item sets), skill-building games, interactive grammar, and Writing Reviews.